Feb 26, 2018 - Meru District. Team Naweza drives to the Ntumburi area of Kenya, a few kilometers from Lewa, to set up a medical outreach. Jambo! Today is the day of Outreach February 2018, which means Team Naweza will be visiting a village, taking over a local medical clinic building with our staff and resources, and literally see hundred of patients until the sun sets. 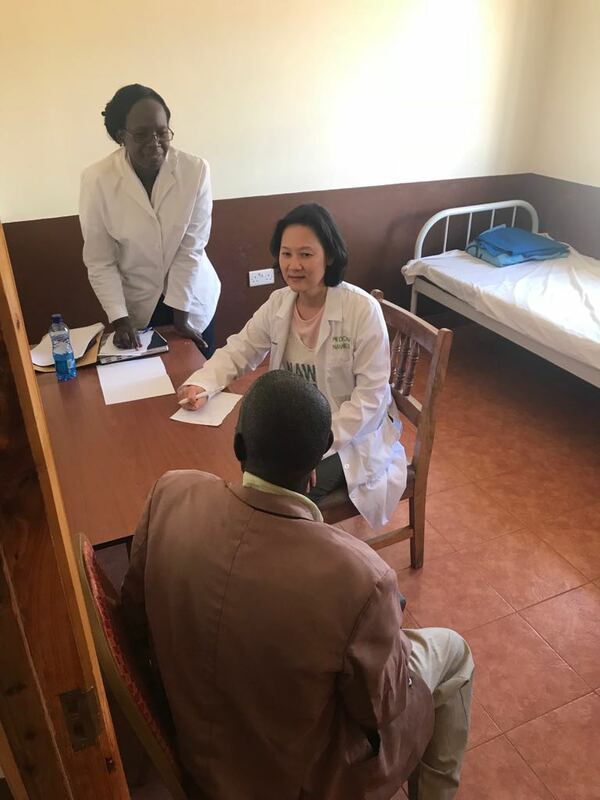 When we are at the Lewa Downs clinic we are able to see fewer patients and take our time with each and every one, which serves as great learning opportunities for the nurses. However at the outreach, the focus is on seeing and connecting with as many patients as possible. We want to build a good relationship with the community so that they know we understand all the nature of their most urgent needs. Although our main initiative at the moment is chronic disease, the people here are dealing with all sorts of acute issues and other conditions that require referral to a hospital. Our goal is to establish trust that we are listening to them and here to help them where we can. It is also an opportunity for us to keep our finger on the pulse of what the community is dealing with on a daily basis so that we can better develop programs. We arrived at the village to at least 100 people already waiting to see the doctors, with more continually filtering in. It was very hot with little cloud cover and very few trees to provide shade and a reprieve from the heat. The tensions grew quite high as people were thirsty, hot and tired of standing. I couldn’t blame them! The doctors were trying to go as quickly as possible. But unfortunately there were several complicated cases as this village appears to be underserved and there are many many sick people; some quite ill. Some of the issues we saw included ringworm; juvenile idiopathic arthritis; a large tumour on the outside of a heel; psoriasis; thyroglossal duct cyst; and anxiety disorder. It's hard to imagine that the nurses here are expected to diagnose and treat all of these conditions with little to no support. The pressure on the staff here is enormous to perform functions that are way beyond their education and training. Dr. Sue saw a 17-year-old girl who presented with a large mass in her breast. She received previous treatment from a local clinic. They misdiagnosed her with mastitis despite the fact Dr. Sue saw no signs of an infection. Their treatment strategy included antibiotics and a calcium supplement, which given the symptoms seemed highly insufficient. She has sent her for follow up and is hopeful it is just benign fibroids as cancer in such a young woman would be highly rare. 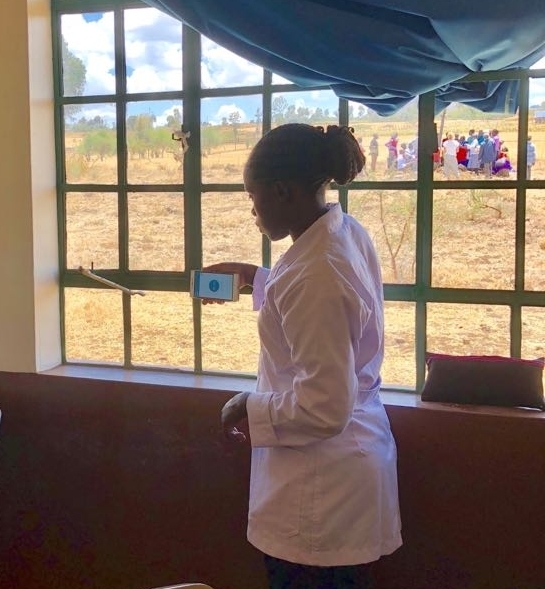 One of the highlights was that we’ve introduced a mobile visual acuity app to Lewa whereby Lydia is able to screen and assess a patient’s visual acuity with her phone. 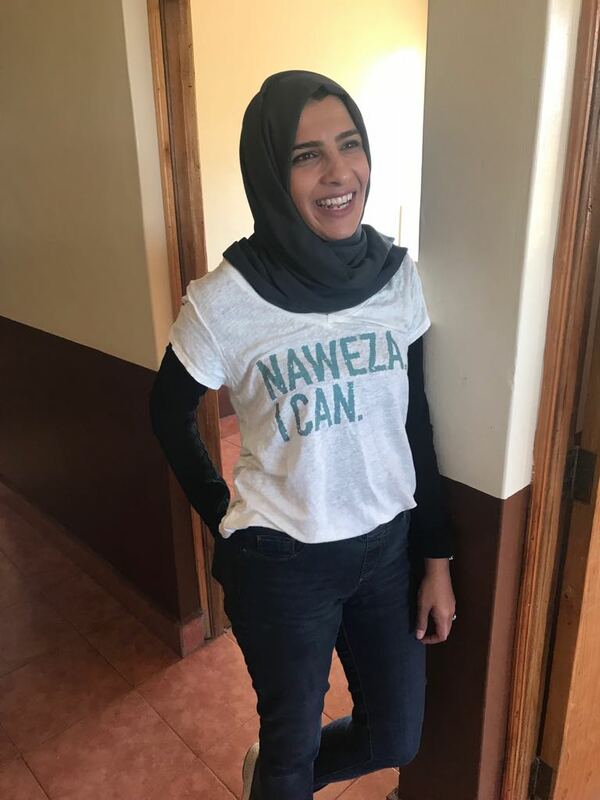 On another app she is able to enter the patient data, which is stored in the cloud and Dr. Sidiqa is able to access and review the results virtually. The patients who we identify as requiring a prescription are told to come back on Lewa’s designated monthly vision clinic day when our Naweza sponsored optometrist is able to write the prescription. 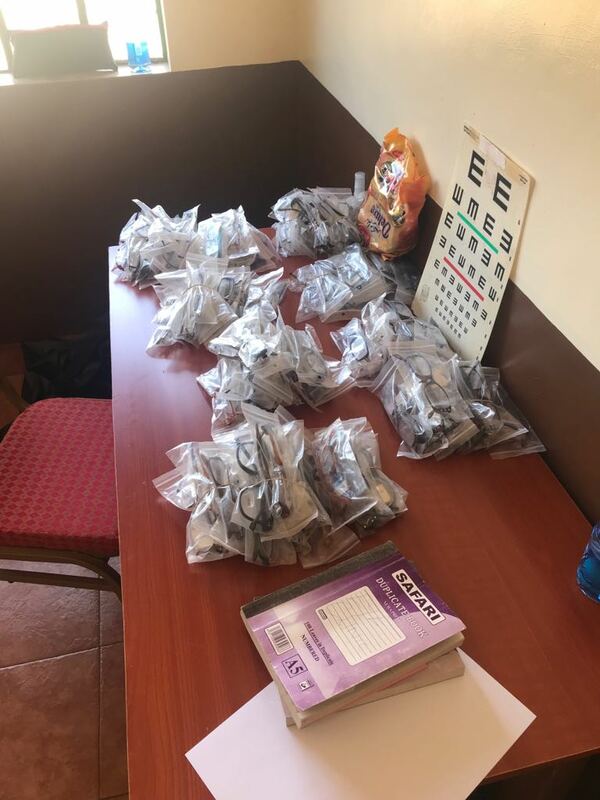 Naweza has identified a generous supplier of new glasses, which are at a third of the typical cost. We also continued training on prescriptions for reading glasses and were able to give away 25 of them. A patient tests out her new glasses to determine if her vision has improved. Naweza continued training on prescriptions for reading glasses and were able to give away 25 pairs this outreach. Tania had an exciting day of visiting the nearby village and meeting farmers and having tours of their homes. They were very kind to allow us into their homes and chat about their everyday life. Tania will write about her experience in her own blog. And I think she has some great videos too! After lunch, Tania and Rosaline, co-surveyor and translator, walked a 2km radius around the clinic and interviewed local residents about their health concerns and their experience at the clinic. Some residents also gave Tania and Rosaline a tour of their cooking areas, which are often poorly ventilated and the smoke/ash leads to respiratory and vision problems. Late afternoon at Ntumburi clinic and many patients still wait to be seen by a Naweza clinician. Any patients who were not able to be seen were invited to travel to the Lewa Clinic the next day for care. We were quite pleased to see the selection of drugs that Lewa brought to the Outreach. We have been working with them over the years on making sure that when we go on an outreach that we actually bring the drugs that our doctors prescribe. When we first began 5 years ago the selection of drugs was sparse. The reason for this was a combination of lack of planning, training as well as limited funding. Naweza has committed to Lewa to sponsor the outreaches we do when we are here. This includes everything from the costs of transportation, lunches for the staff and drugs dispersed to the patients. Naweza clinicians have limited time to see patients. Once the sun goes down, there is not enough light in the building to continue to see people. Also, patients do not like to travel in the dark, so they must leave before the sun sets to make the journey home by foot or vehicle, often hours away. Our outreach ended when the sun went down and we no longer had light. Around 7 p.m. were literally in the dark. It had been a very long day. Unfortunately we couldn’t get to all of the patients. So we told those who hadn’t been seen to come to the Lewa clinic tomorrow if possible. Our goal is always to see everyone, but because there is no electricity in the buildings that we usually work out of (this building being the local Meru Clinic), we literally are left in the dark. We use our iPhone flashlights as long as possible but eventually that is not enough. It is a reminder that we can’t help everyone and that we can only do what we can do. It can be very disheartening when you feel like you are letting people down, especially after such a long hard day. And even though you know that you saw way more patients than you didn’t, you tend to remember the faces of the ones you didn’t. We hope they come to the clinic tomorrow and they have an opportunity to have their issues addressed. It was the best we could do. Tomorrow we will begin our day with a meeting with Mike Watson, CEO of Lewa, in order to discuss the future of the Lewa/Naweza relationship. Then we have CMEs led by Dr. James and Dr. Michael. And we finish with clinical consults for the rest of the day. And hopefully we will see many of those faces that we couldn’t get to today at the Outreach!